This is meant as an update on audio for those who have been out of the game for a while. Some technology improvements, but most of all the wide-spread communication on internet, has made it possible to get huge improvements in sound quality. It's the new sound trend - dynamics, realism, more life-like. Speakers with higher efficiency, more output capacity and controlled sound radiation pattern is the key. 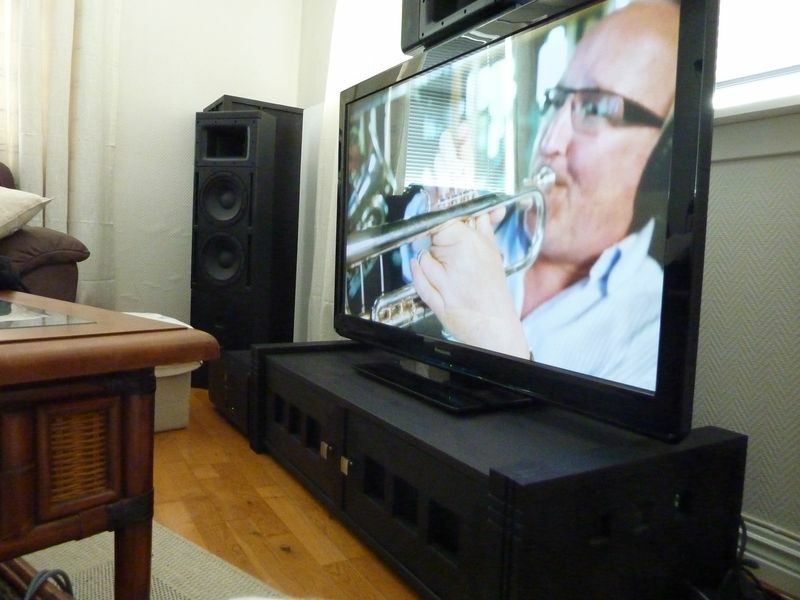 Often larger, with horns, often utilise professional loudspeaker drivers. Dome tweeters and small satellites with small woofers are out - large woofers, horns and waveguides are in. We always knew the room and furniture in it, along with placement of loudspeakers and listening position, have a significant effect on sound quality. What is new is an overall awareness and knowledge on acoustics, we no longer accept a bad room as something inevitable, we actually do something about it to fix the problem. Today any amateur hobbyist can set up a rig for acoustic measurements on the speakers and room using very little money, and the performance will be equal to or in many ways much better than what you would have paid an amount similar to a new car to get in the good old days. 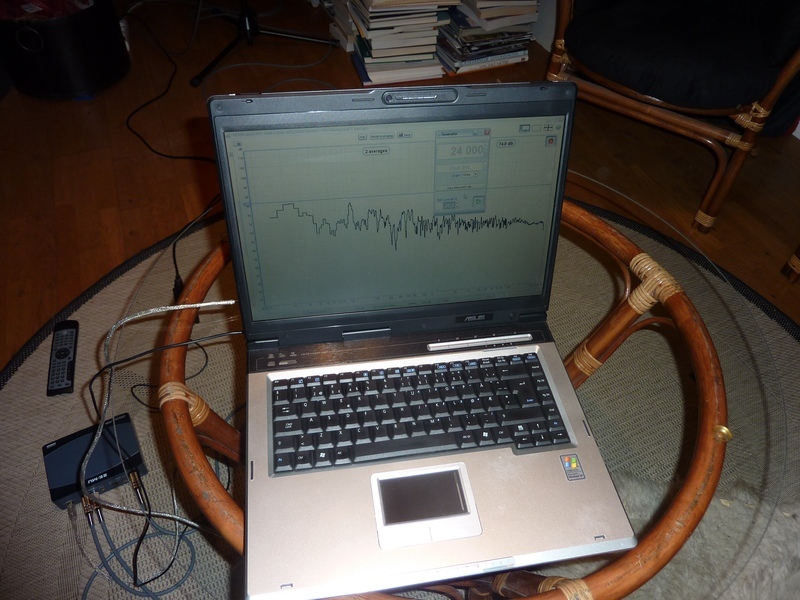 You need a portable pc - which you already got, microphone, I/O interface for the pc, and the free software measurement package REW. This will allow you to actually see what is going on when you try to set up your system, save you a lot of time - if better sound is the goal, and probably kill some myths. 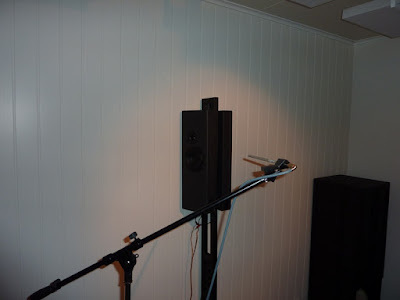 When you now are able to measure, you can go on with acoustic improvements and integrate you new high-efficiency speakers that rolls off everything below 60Hz to your new bass system. Just being able to integrate the bass with the main speakers so that it doesn't sound like the typical speakers-with-subwoofer will be a very significant improvement. Huge bass systems pop up everywhere. Large horns, or multiple subwoofer units with large-displacement drivers, or dipole variations. This is a difference that is very audible, very visible - they are large, and physically perceptible. 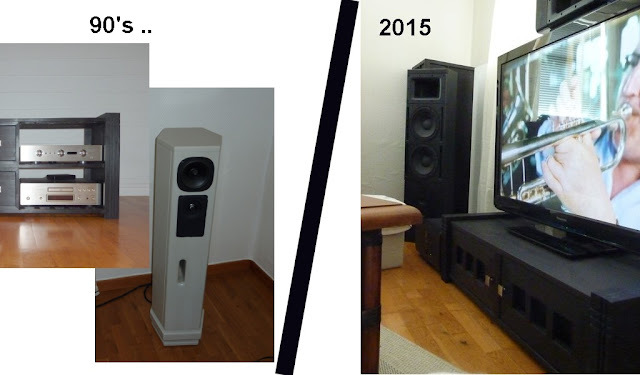 The home-theaters showed the way with large-capacity subwoofer systems with low frequency extension well below 20Hz. Today, any serious audio system has a capable and properly integrated bass system. In the 90's a trend towards seeing audio as something more spiritual and supernatural really took off. Established science and methodology were replaced by occultism and religion. This was boosted by scam manufacturers appearing on the market with expensive cables and all sorts of products claimed to improve sound but having no technical foundation at all. Yes, the manufacturers still live on, they continue to spread their religion - often supported by a cult of believers, but today anyone can search around the internet and find information on those subjects and find the truth. We know why the scam marketers continue to spread the word, we know why people hear differences that does not really exist, and there is scientific documentation on technical issues and listening tests. If you encounter a salesman telling you a more expensive piece of wire will sound better, then it's either a scam, or the salesman is incompetent. I would not deal with either. It is apparent for anyone with a technical background that a piece of wire can not change the sound the way some people claim to hear. This led to a better understanding of the concept expectation bias - what you see affects what you think you hear. The next logical step then is to question whether other parts of the audio chain, like amplifiers, could also be so good, that they do not change the sound in any way that can be audibly perceptible. This gives birth to the term "audibly transparent" - a device that is so good that it does not change the signal in any way that is audible. Blind listening tests, often performed as what is called an ABX-test, show that indeed, the audible differences between CD-players, amplifiers, DA-converters are not anything like what you can read in the hifi-magazine reviews. In fact, those controlled listening tests show that well constructed high-quality equipment does not change the audio signal in any way that is audible. Today it is easy to establish whether a device is audibly transparent. When all changes made to the original signal is well below threshold of hearing, it is audibly transparent. Basically, everything up to the speaker terminals can be made audibly transparent. Take a look back at the amplifier sound quality article - the test samples are still available. Can you hear a difference between the power amplifiers tested? Can you hear a difference between the original music sample and the one passed through the AV-receiver 4 - FOUR - times? 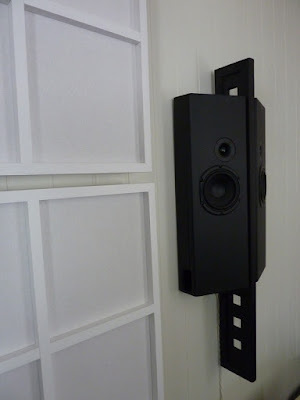 A consequence of the fact that one can actually use a AV-receiver in the signal chain and be sure that it is completely audibly transparent is better sound for less money. 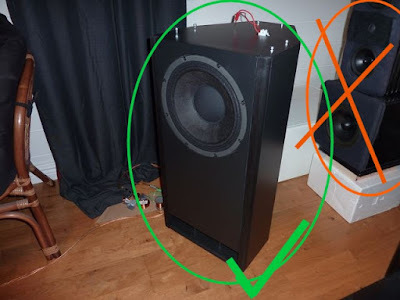 Less money because they are mass produced and targeted at a slightly different market, and better because you now have signal processing capabilities like bass management and delay setting for all speakers so the subwoofer can be properly integrated. But be very aware that this does not mean there are no differences in functionality or performance - output power of amplifiers must be properly dimensioned, and differences in functionality can make one device more suitable than the other. In addition to the mentioned points, there is the difference in how we receive and play source media content. 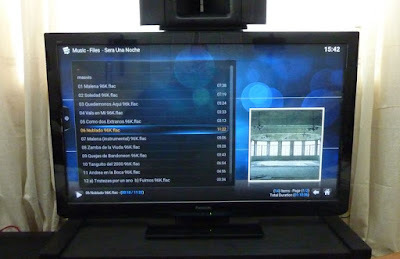 Streaming from internet, pc-playback and the removal of physical media like the CD. In this world the old vinyl records have their renaissance, and is now known as - vinyl. Computer playback of music files. Kodi media player. If you are in Norway, you can visit the Kvålsvoll Design AS demo room to experience some of those new trends in sound.